Nowadays, the mining technology has evolved so much to the point that people even have the ability to build their own miners. In this sense, it would possible to mine bitcoins from the comfort of your own home! Sounds great, right? How would one get started on that? Well…. Your Raspberry Pi – This is basically a credit-card sized computer. Be sure to get version B to make this miner. Although a case for it is optional, it is definitely recommended as it could protect your Raspberry Pi to from falling objects. SD card – This acts as your hard drive for your Raspberry Pi. Be sure to get a class 10 SD card with a 4GB minimum. Before starting, make sure that you have your mining software uploaded into your SD card. 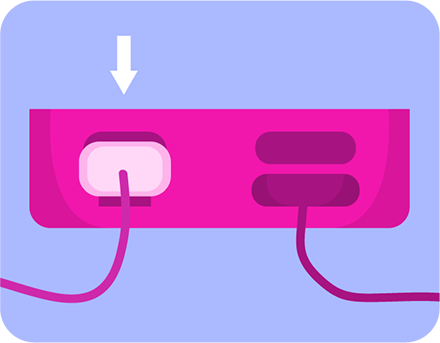 Micro-USB to USB cable – This is used to power your Raspberry Pi. ASIC miner/block erupter – This is a chip that has one job: to mine for bitcoins. It’s powered by USB so you could use a lot of these chips to make your mining more efficient. Each miner mines at a different rate so make sure to look at that first. 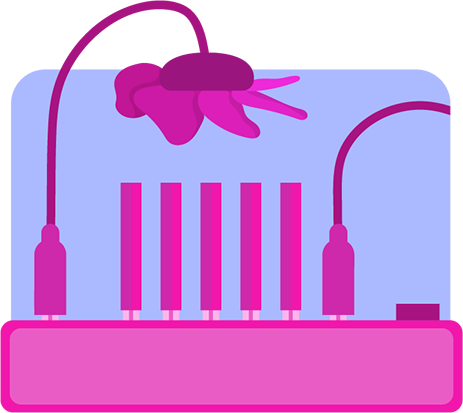 A powered USB hub – Make sure that there is an external adaptor that plugs into a wall outlet as it will give an even distribution of power to each of the ports. Be sure to get a good quality hub. USB fan – Since your block erupters will be running 24/7, they tend to get a little warm. If you plug one of these USB fans into the USB port, it can be a cheap and easy way to keep those little guys cool. Ethernet cable – This is what’s going to get your bitcoin miner connected to the internet. Place the Raspberry Pi inside of its case. Align all the pieces and it should snap together! Remember that a case is optional, but recommended! You don’t want anything falling or spilling onto your Raspberry Pi, do you? Insert the SD card into your Raspberry Pi’s SD card slot. Acting as a hard drive for your mini-mining-machine, the required specs aren’t too high but you want to make sure that you get a class 10 SD card with at least 4gb space. Before putting your SD card, make sure to upload your mining software. Without it, you won’t be able to mine your bitcoins. 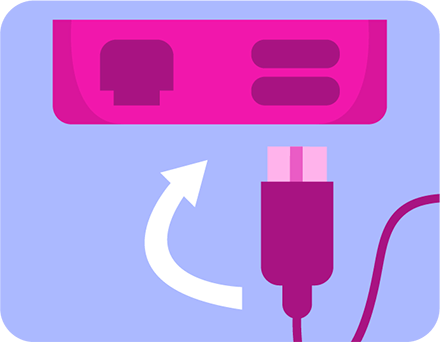 Place the Raspberry Pi’s power cord on one of the slots of your USB hub. Without power, your mini-computer won’t be able to run! Make sure that you save one of the slots on your USB hub for your Raspberry Pi. Place your ASICs/block erupters on the remaining slots. Make sure they are placed in firmly. Each ASIC/block erupter has a different mining speed. If you want to know how much you’re mining, get the details of the ASICs you buy. Place your USB fan on one of the slots and direct it above the block erupters. The block erupters can get hot so a USB fan to cool it off can help mitigate that problem. Plug in another USB cable on the USB 2.0 slot of the USB hub. This connects directly to one of the USB ports on your Raspberry Pi. This is the cord that sends data from the block erupters to the Raspberry Pi. Connect the USB cable to one of the USB ports of the Raspberry Pi. This is the part of the cord that allows the Raspberry Pi to receive data from the block erupters. Take the Ethernet cable and connect it to the Ethernet slot of your Raspberry Pi and the other end to your modem. Make sure that you have a stable internet connection before you start mining. The Internet is crucial to the process. Once you have everything plugged in, power up the USB hub. 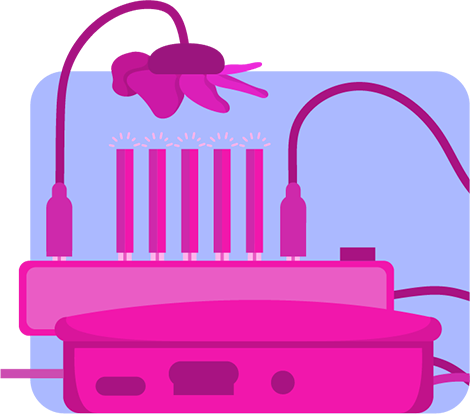 Once the USB hub is connected to power, the block erupters should start lighting up, indicating that it’s in standby mode. Go to your mining software, set up your mining pools and start mining! Remember that it’s extremely difficult to solve a block on your own, so get a good mining pool to help you out! Good luck out there! Disclaimer: You might end up spending more on electricity and the assembly parts rather than earning a significant amount of bitcoin. A lot of people argue that bitcoin mining is a waste of electricity. As we know, bitcoin mining uses a lot of power and a lot of people are turned off by it. This has always been a problem when it came to bitcoin mining but it’s a different time now. Bitcoin is more evolved now and there are several counter-arguments against this claim. In all honesty, bitcoin mining isn’t as profitable as it used to be but that doesn’t mean you can’t do it. As said earlier, there are people who like to mine as a hobby (hobby mining) and there’s nothing wrong with that. What do you think about bitcoin mining? Do you think it’s something you can have fun doing? We’d love to hear your thoughts! Let us know in the comments section down below!